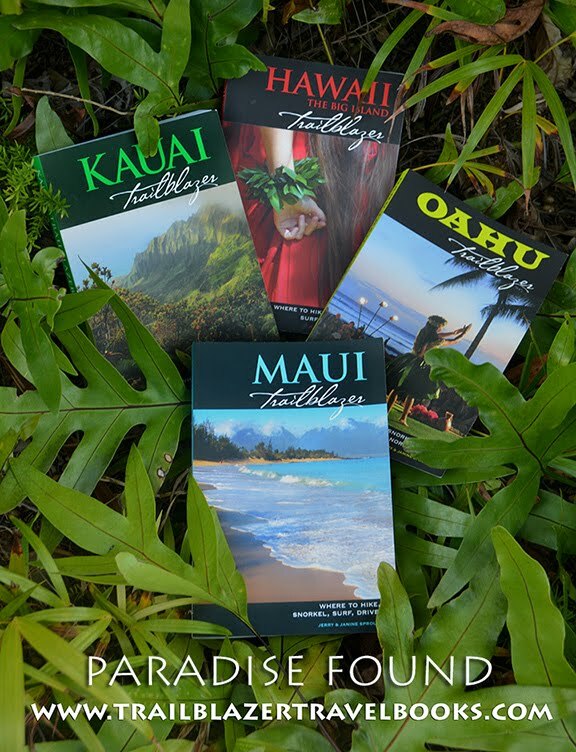 For Mainlanders today, hula calls forth images of dashboard bobble-head dolls and boozy late-night scenes in tiki bars. Those kitschy pictures have grown out of post-WWII tourism. But hula dancing, which is accompanied by chants and song, is as old as the islands themselves. The graceful movements of the dancers tell the stories of Polynesian ancestors who came to the islands more than 2,000 years ago—and pay tribute to the plants, animals, and places of Hawaii that have allowed the people to sustain their way of life for centuries. 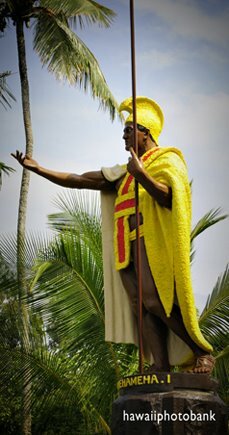 Hawaiians did not have the written word until the Western world showed up in the late 18C, and hula chants were the living, breathing way to keep record of the culture. For about 50 years in the 19C, Hawaiian royalty embraced the Christian views of the missionaries who had arrived, and hula was forbidden. 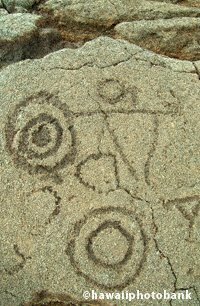 But the dances were kept alive underground. 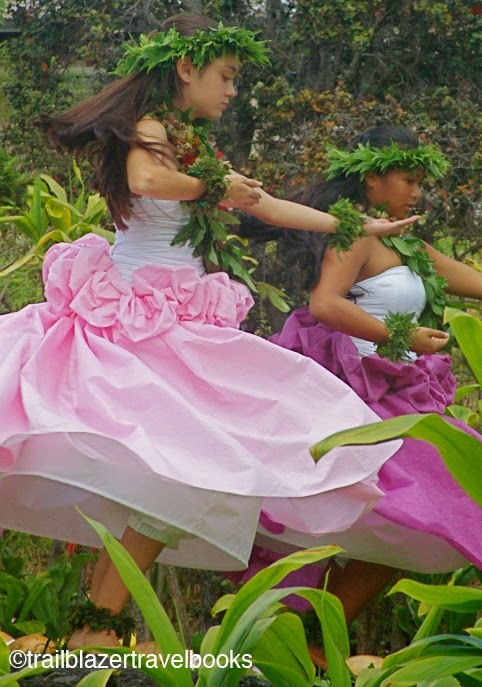 Recent decades have seen a dramatic re-emergence of the traditions, and schools (hula halaus) are prevalent on all the islands. The dancers here perform at the historic Pele hula platform at the rim of the Kilauea Caldera at Hawaii Volcanoes National Park on the Big Island. Just down the highway in Hilo, the Merrie Monarch Festival in the spring hosts a dancing competition and performance attended by hundreds of performers from throughout the islands. Tickets are hard to come by. 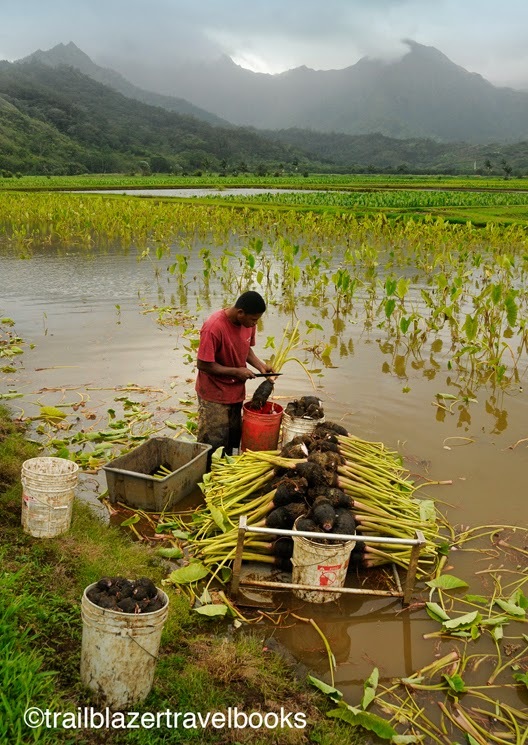 Taro is one of the two dozen plants that comprised the "canoe garden"—the plants that the migratory Polynesians brought with them on their 2,500-mile voyage in sailing outrigger canoes from Tahiti and other islands in the South Pacific. 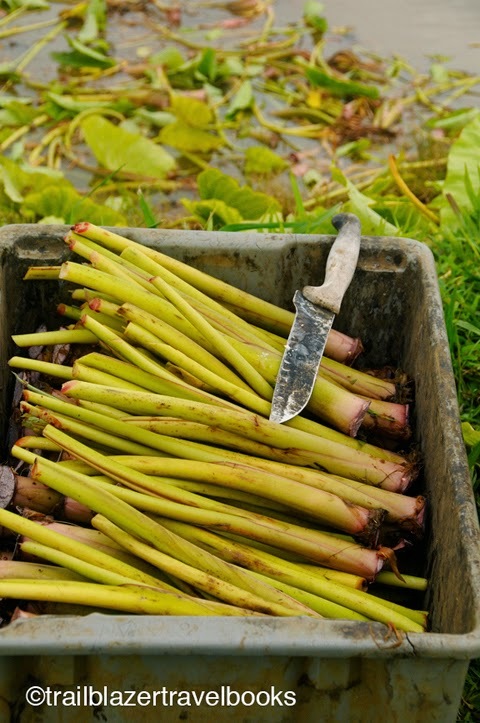 The roots are pounded into a purplish paste called poi, a staple of traditional luaus and often the brunt of yucky jokes. Mainlanders may wish to try taro chips as an introduction to the plant, since crispy fried grease and salt translates to any taste buds. The taro fields at the Hanalei National Wildlife Refuge pictured here are the largest in Hawaii. Many of the workers these days come from a small island near Samoa, following the route that the original root took some 1,500 years ago. 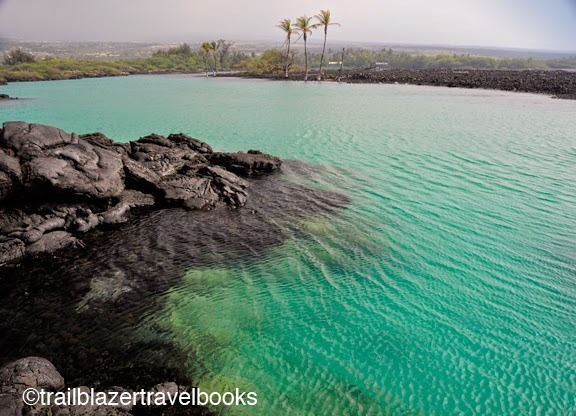 At the north end of 2-mile wide Kihilo Bay (on the South Kohala Coast), Blue (Wainanali'i) Lagoon is a luminescent streak of turquoise that lures hikers from a scenic viewpoint on the highway. Many walk an unmarked trail from near the turnout—largely because one rental car tends to attract another, and people figure it's the thing to do. 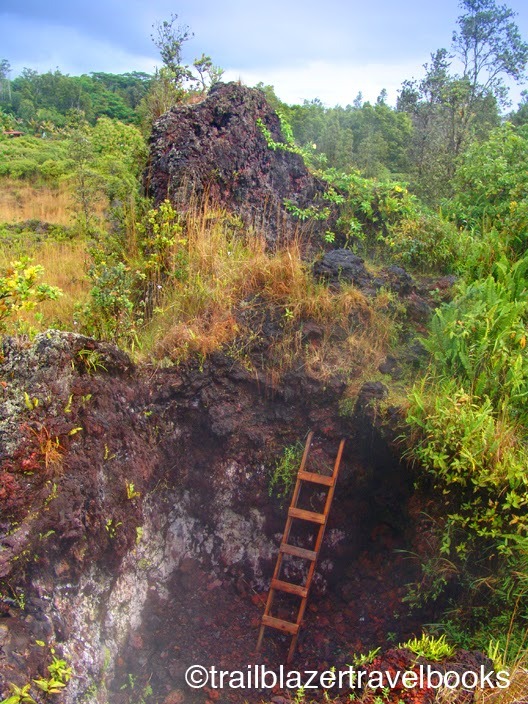 The round-trip hike is a little over 2 miles, dropping 200 feet through an arid kiawe tree forest that provides ample opportunity to take a wrong turn. 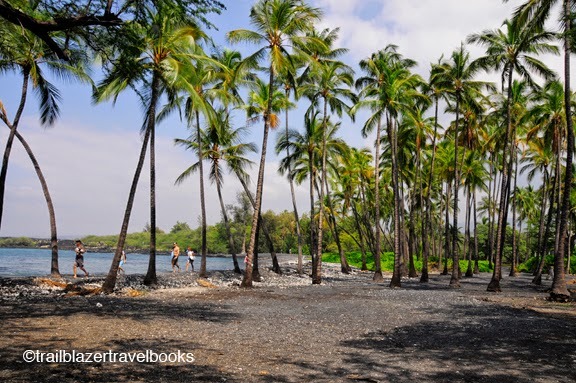 A second route to Blue Lagoon follows palms trees along a black-sand beach past a couple luxury homes and historic cottages, and involves no climbing. You begin by taking a state park road that is about a quarter mile from the scenic viewpoint. 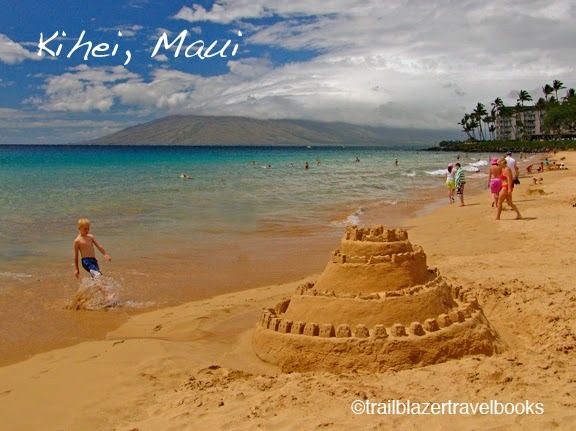 This option includes a visit to a fresh water pool used by ancient Hawaiians. Blue Lagoon is turtle city. Many of the creatures haul out here, turning salty-white on the rocky shoreline, and then taking a slow dip in the water, which turns their shells a glistening amber-green. The "lagoon" is actually part of a massive fishpond built by Kamehameha the Great in 1810 and considered and engineering feat by early Western visitors. Swimming here is a novelty, but the snorkeling is not among the Big Island's best: underground fresh water intrusion makes it chilly and a silty bottom can make visibility only fair. 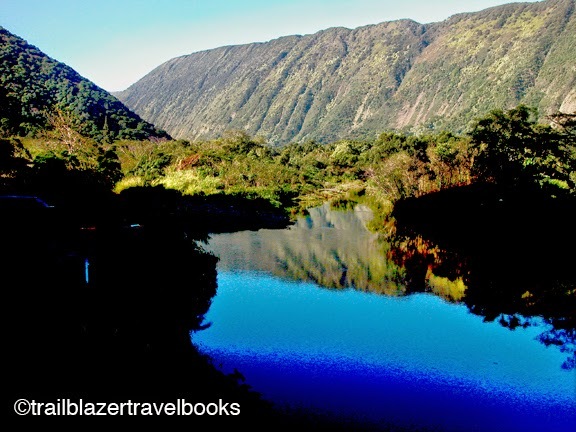 See Hawaii the Big Island Trailblazer page 65 for more details. 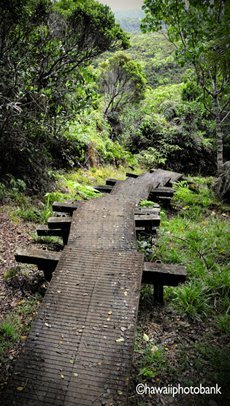 Only 4WD vechicles are allowed down the steep road to Waipo Valley on the Big Island--but trekkers can walk down in about 15 minutes. At the bottom, several hikes are possible, including a beach stroll to a waterfall or backcountry trail. 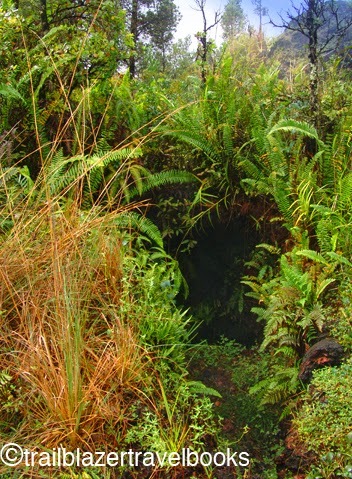 But the best hike may be up valley, into taro fields that are a glimpse into ancient times. The trail starts up a stream—you need to walk in water—but then transitions to a beautiful rural road. 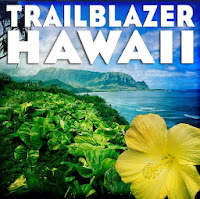 See Hawaii the Big Island Trailblazer for the deets. The staff at Dolphin Quest have introduced many humans to dolphins at the Mandarin Oriental Resort in Kahala, which is on the opposite side of Diamond Head from Waikiki on Oahu. Families can sign kids up for swimming sessions. 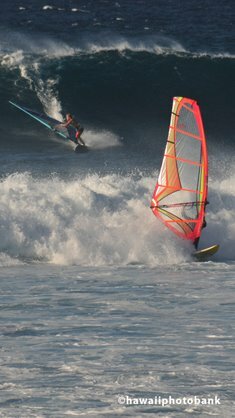 An easy way to see the show is to take the short walk from Waialae Beach Park; see page 57 of Oahu Trailblazer. 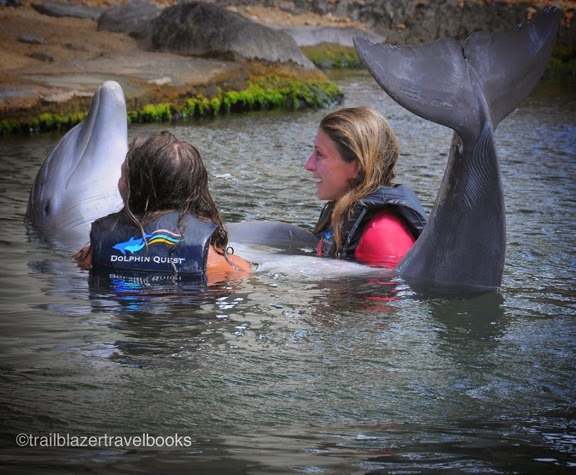 Dolphin Quest runs a similar operation at the Grand Hilton Waikaloa Resort on the South Kohala Coast of the Big Island, where visitors can watch the show from a grass embankment. To see our brothers and sisters of the sea in the wild, try Kealakekua Bay and Honomalino Beach on the Big Island. On Kauai, a spinner dolphin pod likes the waters off Secret Beach, which lies below the Kilauea Wildlife Refuge. The waters off Salt Pond Beach Park and northern Kekaha Beach, both on Kauai, are also known as dolphin habitat. Snorkelers are often joined by dolphins not far off Hulopoe Beach Park on Lanai, which is a day trip by ferry from Lahaina on Maui. 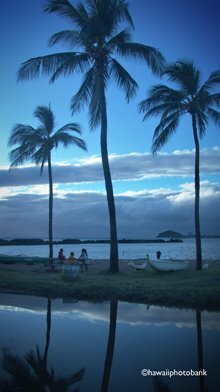 For more specifics on where to see dolphins—as well as other wildlife in the sea, air, and land—consult No Worries Hawaii, a vacation planning guide for all the islands.